(KPL) Ajanta caves in Aurangabad District, Maharashtra State, India is a world heritage site. It has fascinated both visitors and scholars from India and abroad. Nearly thirty caves were built in two phase between 2nd century BC and 5th century AD. 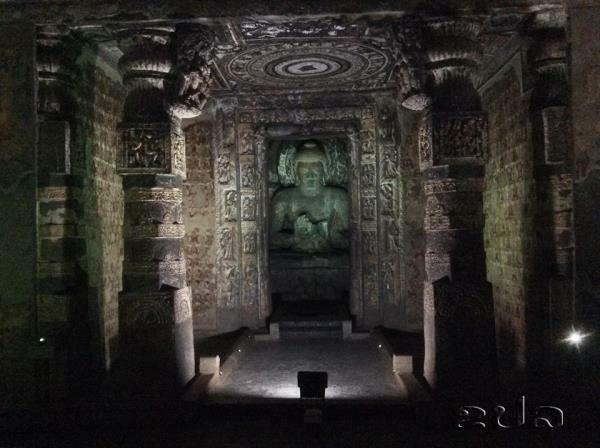 The Ajanta caves have shown the skill that Indian craftsman had achieved several hundreds of years ago. The caves date between 2nd to 1st century BCE and renewed for their early Buddhist temple architecture and delicately drawn murals. The rock-hewn caves at Ajanta, cut into the scarp of a cliff are either Chaityas or Viharas. On the walls of the caves are paintings, many still glowing with their original colours. The outer walls are covered with brilliantly executed sculptures. The Buddhist themes of the Ajanta paintings recount the life of Lord Buddha and tales of his previous earthly experience. 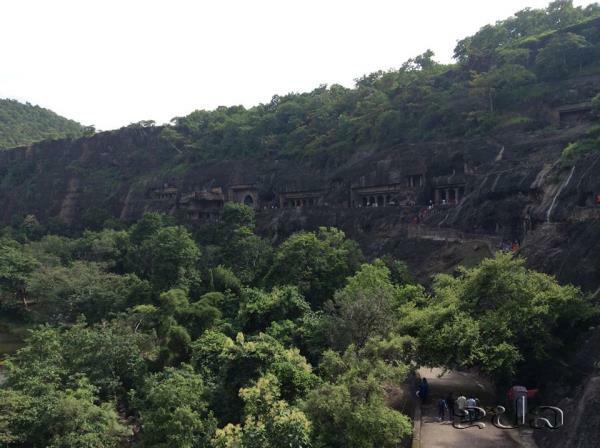 Vakataka dynasty who was ruling this region around 3rd century AD to 5th century AD had patronized few caves of Ajanta. Influence of both, the early schools of Buddhism and Mahayana schools of Buddhism, can be been on art and architecture here. 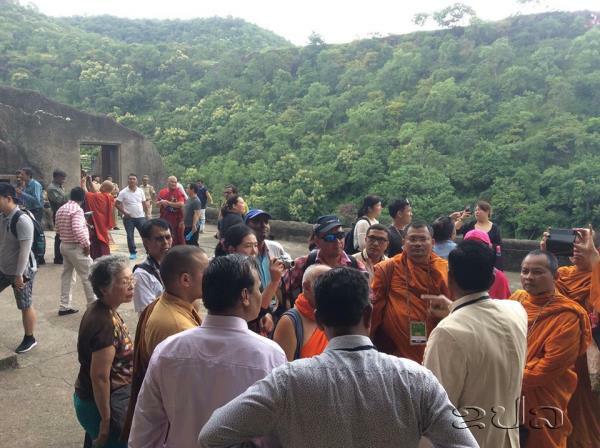 Visitors can view the rich architectural features, sculptures, murals and ceiling paintings, which are amongst the finest surviving example of Buddhist art. There are also splendid masterpiece paintings that are seen as a medium for propagating Buddha’s teachings through Jataka stories depicting Buddha’s previous births and scenes from life of Buddha. The caves also display paintings of celestial and Bodhisattva. 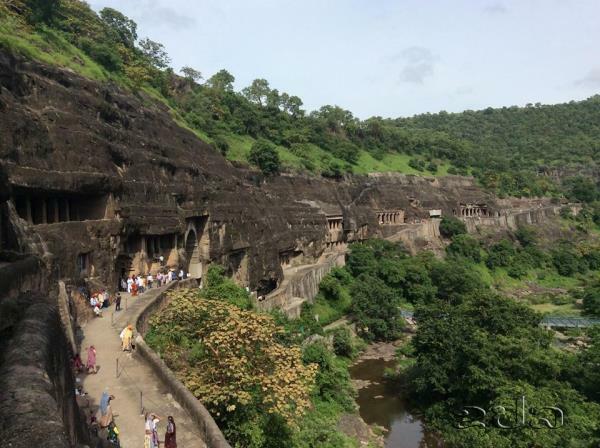 The 30 rock-cut caves at Ajanta have been excavated in a panoramic, horseshoe shaped gorge of the Waghora River. They belong to two district phases of Buddhism-the earlier Hinayana phase from the 2nd century BC to the 1st century AD and the later Mahayana phase from the 5th century AD to the 6th century AD. 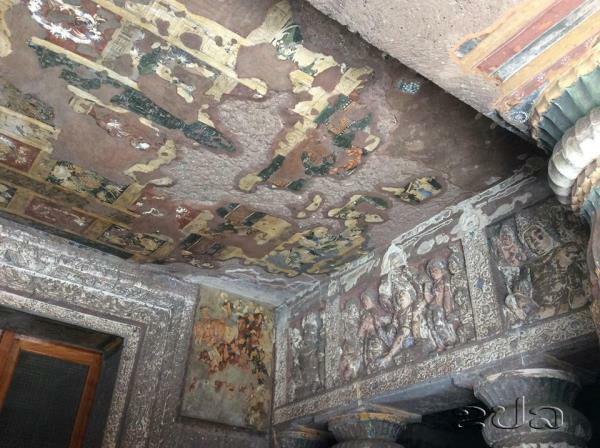 Some of the magnificent paintings for which Ajanta is world-famous can be seen in caves 1.2.9.10.16 and 17. They depict episodes from the life of the Buddha and scenes from the Jataka tales which relate to the Buddha’s previous incarnations as a Bodhidattava. 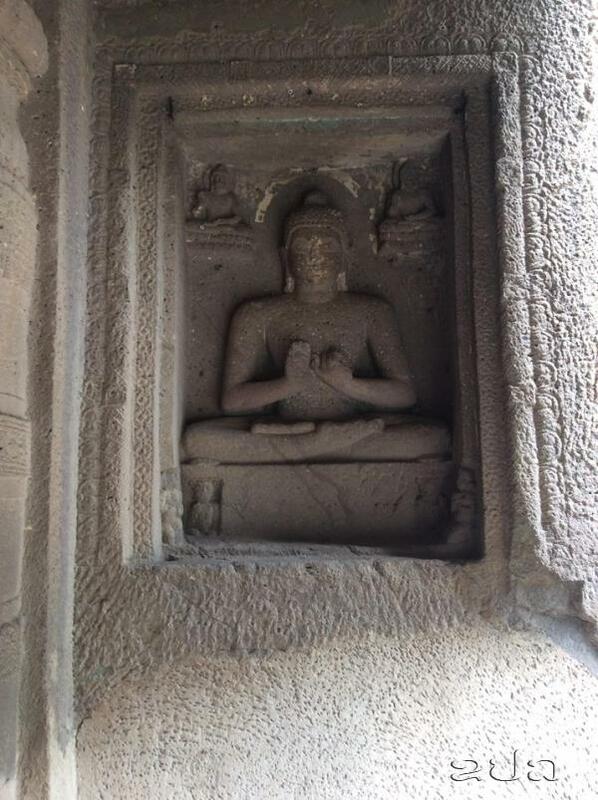 The sculptures on the façade of some of the caves and in the shrines contain superb images of the Buddha. More remarkable among these is the one depicting the Buddha’s Mahaparinirvana- his ultimate release from the cycle of rebirth in the cave 26 evoking a sense of awe and reverence.